This was the almond superseed bowl – it was awesome. At the Mya Bar and Restaurant in Seminyak. 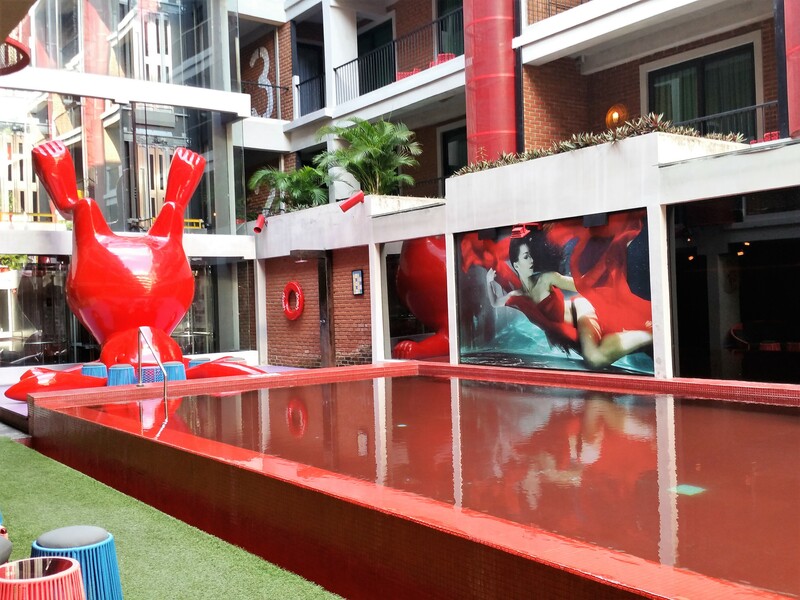 Our stay at Dash Hotel was not only pleasant, but it was made even more pleasurable with the all-you-can-eat ala-carte breakfast at the hotel’s own restaurant, the Mya Bar and Restaurant in Seminyak. 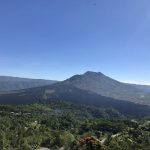 In fact, I’m not the only one who feels this way – Mya Bar and Restaurant in Seminyak has a 4.5/5 rating on Tripadvisor. 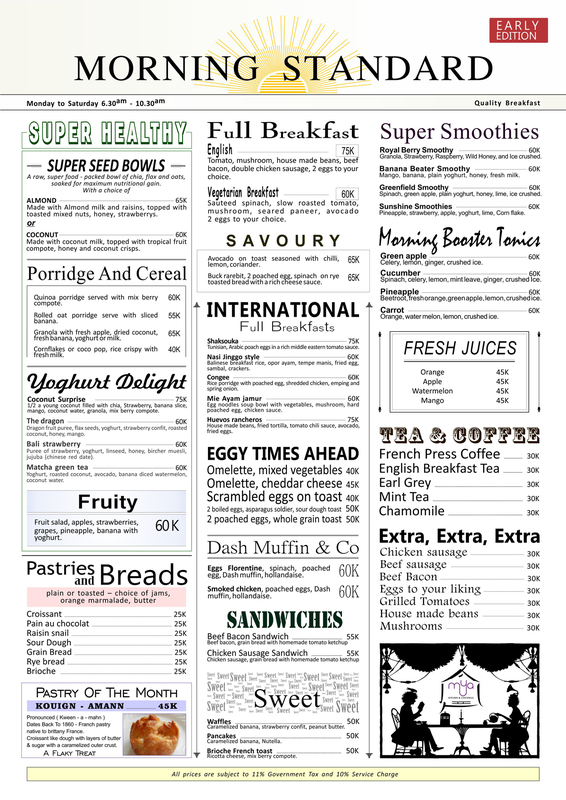 The restaurant had a wide range of breakfast foods, as seen from the menu below. When we first entered the restaurant, we were told that we could order any amount of juices/ coffee and mains we like. It was an all-you-can-eat ala-carte buffet. On the first day, I was still getting used to the concept (cos if this was Singapore, it would have cost us a bomb), and had a light breakfast – eggs florentine with a green apple booster tonic. 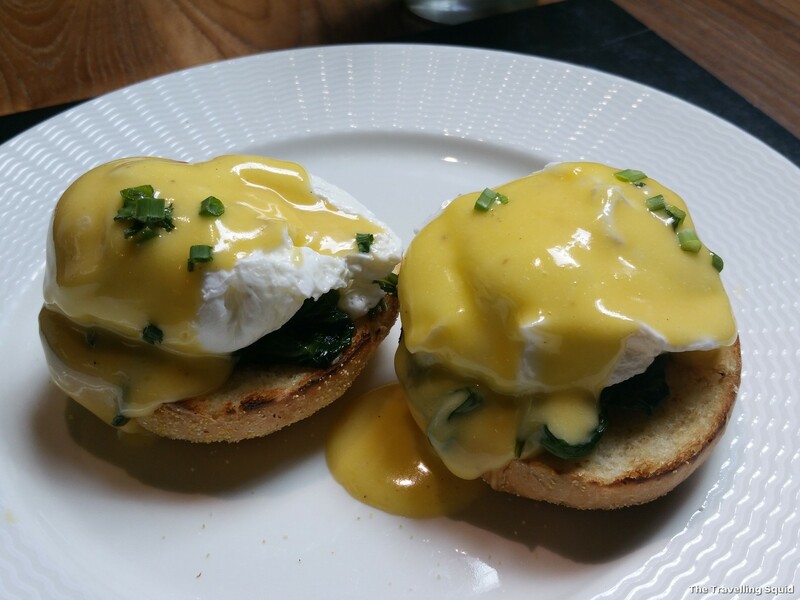 The eggs florentine was standard fare you would get at cafes in Singapore. 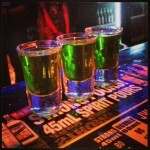 The green apple booster was a tad sweet, but otherwise rather refreshing. I also tried the cucumber booster tonic, which was less sweet, and felt real healthy and refreshing after not eating vegetables and fruits for the past couple of days. It’s quality was comparable to that of an egg florentine back in Singapore. The service was pretty good, and the staff did not judge me for ordering more than one drink. : ) Friend S had some local eats – and the nasi goreng and porridge as well. I thought it was alright, though I preferred the international fare. 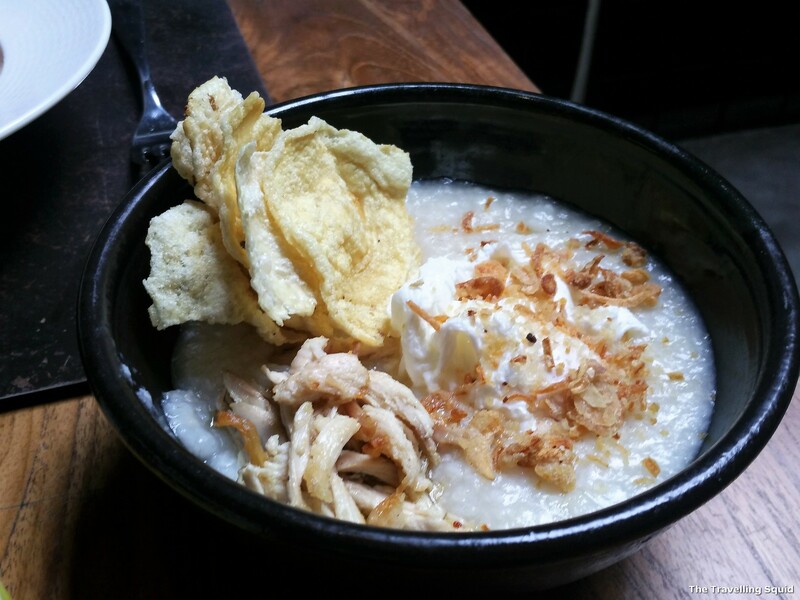 Local porridge with chicken and the essential – keropok. 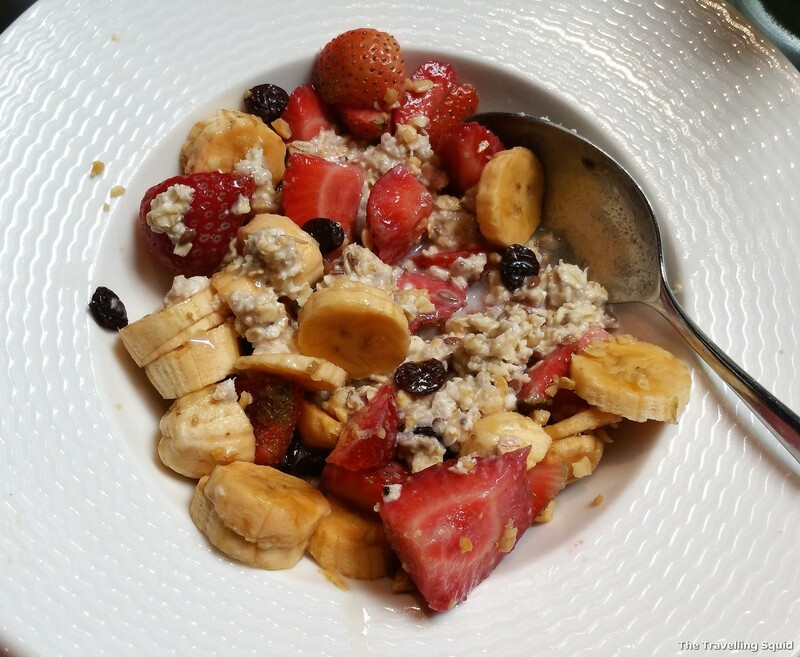 The Almond Superseed bowl – great healthy breakfast. I typically would not have tried this if not for Friend S – but this was by far, the best of all breakfast foods on the menu. I love almond, so the generous amount of almond milk offered for this was pretty great. There’s a combination of oats, fruits, mixed nuts and seeds in there. Pretty nutritious, healthy and yummy at the same time. The coconut seed bowl – it was pretty good too. On the last day, I had a main – the shaksouka which is a Middle Eastern tomato-based stew with egg in it. It paired quite well with bread. But I decided to have the coconut seed bowl too – as I was keen to taste how it would be like in a coconut. It was pretty good, and I appreciated the generous helping of fruits placed on top. But the almond superseed bowl was still my favourite. If you’re going to be staying at Dash Hotel in Seminyak, I urge you to get the breakfast as part of the package. It’s a tad indulgent, but you get a free flow of juices, french-pressed coffee and smoothies – which perks you up right away, and gets you in a mood for a holiday. 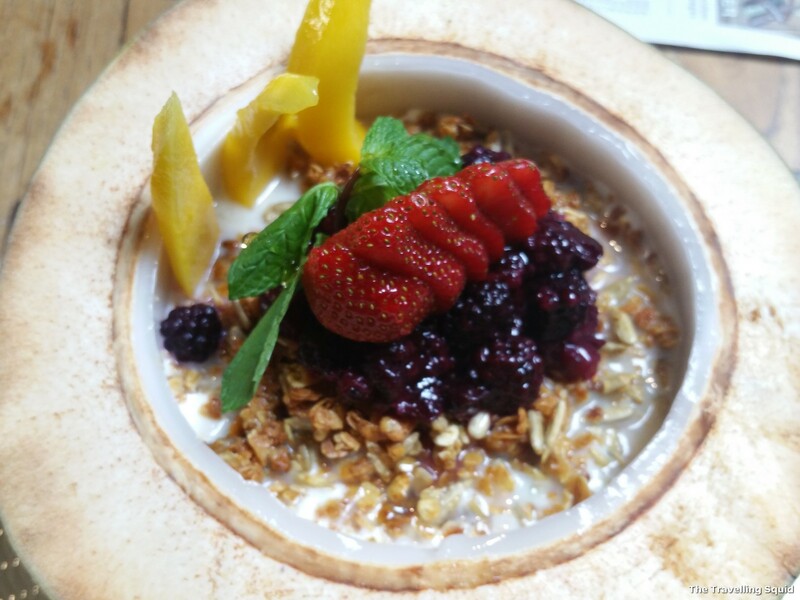 The breakfast menu is pretty extensive too and the seed bowls are amazing. 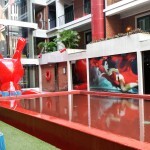 If you’re keen to dine there for lunch or dinner, or chill at the bar, you can check out its website for more information. Recommendation: Head to Sky Garden for the Best Nightlife in Bali!